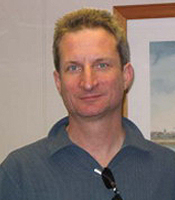 Henry Ruhl is Principal Scientist for the Autosub Atlantic cruise and related project Autonomous Ecological Surveying of the Abyss (AESA). He works as head of the DeepSeas group at NOC and focuses on deep sea ecology and understanding connections between climate and the deep ocean. He will be organising the day to day activities during the cruise in cooperation with the ship’s crew and technical support teams as well as the management of the AESA project. David Bailey is a co-investigator on the AESA project but because of childcare duties back in the UK can’t be on the expedition. He is a senior lecturer in marine ecology at the University of Glasgow, although he specialises in deep water fish ecology he has broad interests from coral reefs to Antarctica. 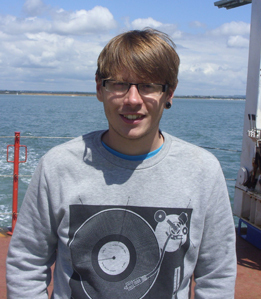 I’m an MSc student at the National Oceanography Centre, Southampton. 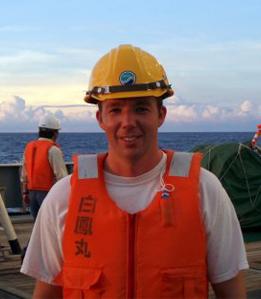 My interests lie in biological oceanography and human impacts on marine biodiversity. My MSc project is on the effects that dredging has on infaunal species and their recovery time. This is my first time on a research cruise and so I’m massively looking forward to the experience. Whilst on board my main tasks are to keep our progress up to date on this ships blog, looking at megacore samples and any other task that I can help with! In my free time I love to surf, dive and spend time with my girlfriend. I represent the Deepseas group, National Oceanography Centre and am interested in the quantitative ecology of the deep-sea benthos. On this cruise I hope to (a) obtain multibeam bathymetry, sidescan sonar, and sub-bottom profile coverage of various areas of the Porcupine Abyssal Plain; (b) obtain many thousands of photographs of the seafloor and benthos of those areas; (c) operate the deepseasgroup Megacorer to obtain an extensive set of high quality seabed samples for a variety of analyses; and (d) in her 50th year to say goodbye to dear old Discovery. I am a PhD student at the NOCS, studying spatial heterogenity in the benthic communities at the PAP. I will be using the photos collected with Autosub, bathymetric data and sediment samples collected on this cruise to assess the faunal community there. I am an AUV engineer and researcher working in the MARS group at NOC. I will be part of the AUV team which operates and supports Autosub6000, NOC's world-class deep diving AUV. The sub has had a number of major updates for this cruise, which includes a new in-house designed camera and flash system which will allow us to provide the high resolution images of the seafloor fauna and flora critical to this science cruise. New pressure balanced lithium polymer (LiPo) batteries will extend the range and endurance of the AUV, enabling longer missions and more data collection. Having led the design of the new LiPo batteries and been heavily involved with the design of the camera and flash system, I will be keen to see how they perform during the cruise. Also, as we need to fly very close to the seabed (~3m altitude in 5000m water depths) I will be refining Autosub 6000's obstacle avoidance algorithm to allow us to safely operate this close to the bottom. My role will be to provide technology that will deliver the ground-breaking data required by the cruise science team. 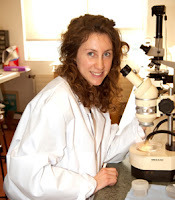 I am a marine biologist specialising in the study of protists (protozoans) living in deep-sea sediments. I work mainly on shelled protists called foraminifera, which are very abundant in the deep sea and include numerous species, many of which are undescribed. The shells of some foraminifera reach sizes of 10 cm or more, pretty enormous for a single-celled organism. During this cruise I will be taking sediment (core) samples from different parts of the Porcupine Abyssal Plain study area in order to look at how populations of foraminifera vary on a scale of kilometres. I am a first year PhD student from the National Oceanography Centre Southampton and joint with the Natural History Museum in London. I am interested deep-sea biology, specifically polychaetes from the deep sea. I am on the cruise mainly for the experience and to learn sampling techniques. 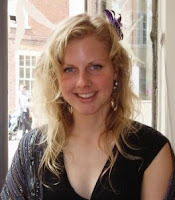 Alice is representing Ocean and Earth Sciences at the University of Southampton and is currently studying for an Oceanography MSc. She is on the cruise to obtain relevant at-sea work experience. Her interests lie in marine ecology, specifically the effects of anthropogenic impact at community and species level. 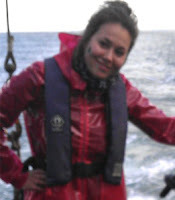 Following the MSc Alice is hoping to work in a related role in research or ecological surveying. Based in the Marine Geosciences group at NOC, Veerle's main expertise lies in the fields of habitat mapping and sediment dynamics, especially in complex deep-sea environments such as cold-water coral reefs, submarine canyons and hydrothermal vent areas. 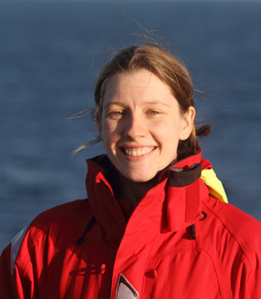 Although Veerle cannot participate in this expedition, she is looking forward to the results of the multi-scale mapping exercises that Autosub will carry out, and she will support the team with data processing, analysis and interpretation once they're back onshore. 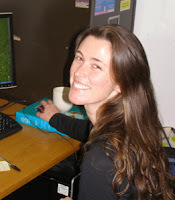 I am a PhD student at Ocean and Earth Science, University of Southampton and at the Natural History Museum in London. I work on the time series of abyssal macrofauna communities in the abyssal plain with a special interest in polychaetes (tiny marine worms). I am interested in ecology (faunal patterns and how they change over time). During the cruise I will core to add one more time point about macrofauna community. I have just finished my Master of Science (integrated) degree in marine biology at the University of Southampton. My interests are in the deep-sea, marine invertebrates, and the impact of the oil and gas industry on the benthos. My final year project combined these interests in a community and population study of scavenging amphipods from the deep-water oil fields of Angola. I have joined this research cruise to gain some valuable work experience. 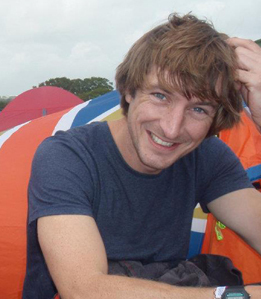 Charlie is doing a PhD with the University of Southampton working with the SERPENT project. On the cruise, she is hoping to collect sediment cores at the Goban Spur on the way out to the PAP site. She will incubate the cores in an experiment, introducing hydrocarbons (crude oil) and measuring the subsequent oxygen uptake rate by the sediment communities. She will bring the sediments back to the lab for further analyses to help interpret the oxygen measurements. 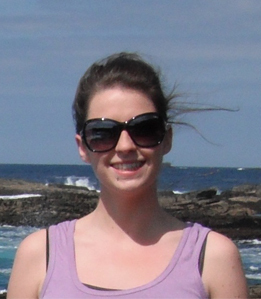 Rosanna is a PhD student at the University of Glasgow investigating the effects of natural and anthropogenic influences on the dynamics of deep-sea fish populations. During this cruise, her main aim is to use images taken by Autosub to investigate the spatial distributions of fish at abyssal depths and study how these relate to both their ecology and the environment they inhabit. 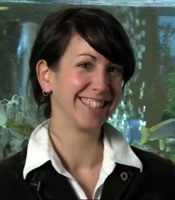 I work as a research assistant at the Natural History Museum in London. 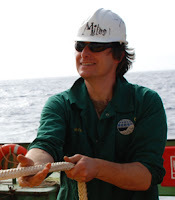 I assist with research on deep-sea and Antarctic biodiversity, with particular expertise in taxonomy and biodiversity of polychaetes (marine worms). During this cruise my main responsibility is to assist with collection and processing of benthic samples. I'm an Engineering Technician within the Marine Autonomous Robotic Systems (MARS) group at NOC, Southampton M.A.R.S. My task is to support and maintain the Autosub AUV. 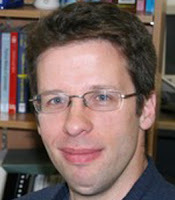 Miles is a member of the MARS group at NOC, Southampton. 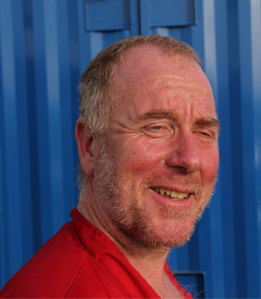 Since 1995 he has been part of the team that has developed the software, systems and electronics for the control, navigation, mission management and data handling for the Autosub series of AUVs. His main design involvement for AESA has been the development of the control and logging software for the new Autosub6000 camera system. During the cruise Miles will be part of the Autosub team working on Autosub mission programming with shared responsibility for all aspects of Autosub operations. 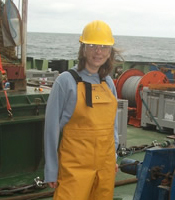 Georgina is studying an MSc in Oceanography at the NOC in Southampton. My research involves numerical modelling of the impacts of climate change on the physical structure and productivity of shelf seas for which my physics background is beneficial. 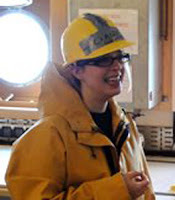 This cruise is a great opportunity for me to experience data collection at sea. I will be identifying species under the microscope and helping out in the lab; collecting data to investigate how surface climate change impacts life in the deep oceans as well as helping to write a blog for the Outreach programme. 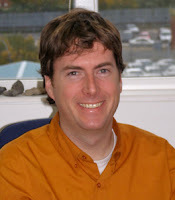 I am currently doing a PhD at the University of Southampton and the National Oceanography Centre. My focus is on high-resolution habitat mapping in the deep sea. I use remotely acquired imagery to identify invertebrates living on the seafloor and determine which environmental characteristics can be useful in mapping species distributions. During the cruise, I will be involved with the processing of bathymetric and imagery data to create seafloor habitat maps. 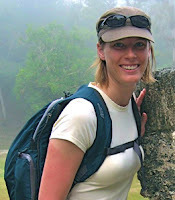 Annette's PhD project aims to assess the connection between surface productivity and the transport of material to continental slope habitats, including the role of canyons in this process, particularly in the Goban Spur area. The main focus of this work will be the examination of pathways across the continental shelf through nepheloid layers - layers of suspended (organic) material generated at the seabed. During this cruise Annette will be acting as a foreign observer for the Irish Marine Institute. 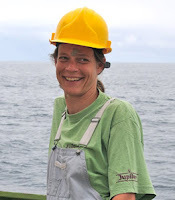 She will also assist with CTD microbial/particle sampling and megacore processing during the cruise. 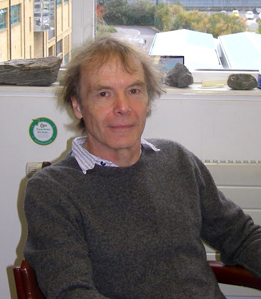 George Wolff is Professor of Oceanography and is based in the School of Environmental Sciences at the University of Liverpool. 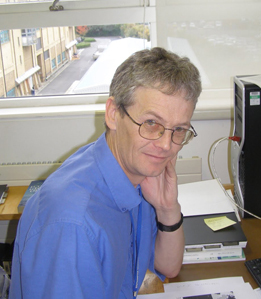 He graduated with BSc and PhD in Chemistry from Bristol University in 1979 and 1983, respectively. His main research interest is in determining the significance of organic matter fluxes reaching deep-sea ecosystems, both in the open ocean and at continental margins and the close relationship between the ecology of benthic fauna and organic matter quality in sediments and in the water column. He is also interested in identifying the relationship between the biochemistry of deep-sea megafauna and their feeding strategies/ecological niches, which has led to the hypothesis that organic nanonutrients influence the abundance and diversity of fauna in the deep ocean. He will be helping to analyse collected samples once the cruise comes back to shore.